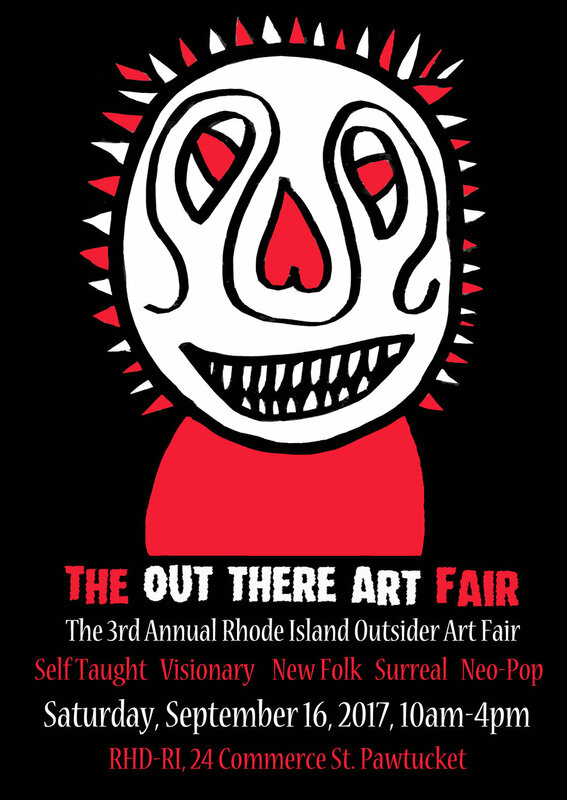 In conjunction with the 19th Annual Pawtucket Arts Festival, RHD-RI will be hosting the 3rd Annual Rhode Island Outsider Art Fair, The Out There Art Fair, showcasing the work of hundreds of neurodiverse and largely self taught nationally and internationally shown and recognized artists. Vendors include many of RI's amazing studio art programs. Featured for sale will be beautiful, affordable art, hand made by the talented members of Pawtucket's RHD-RI and Flying Shuttles. Jamestown's Out of the Box Studios, Middletown's Studio 57 and Downtown Designs, Cranston's Artists' Exchange, and Top Drawer from Warren. Many other programs, galleries and artists from the New England region and beyond will be exhibiting their eclectic art and wares in this unique, once a year event. Please join us on Saturday, September 16th, from 10am-4pm.